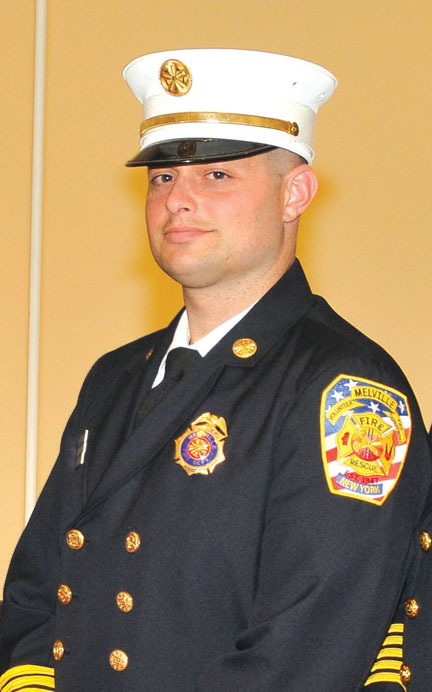 Melville Fire Department Third Assistant Chief Jason Bernfeld was in the right place at the right time when he made the grab at an MVA on the Northern State Parkway, on March 12, 2018. The Chief was on his way to work as an NYPD Police Officer when he noticed a taillight in the woods westbound, near the Round Swamp Road exit. 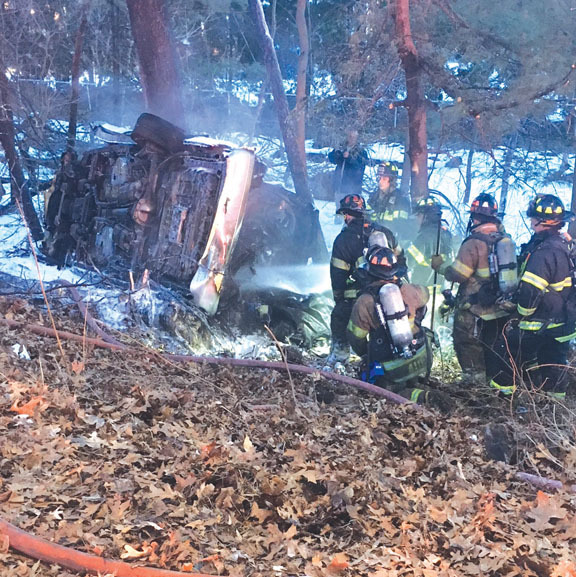 He stopped and found a car overturned on its side down an embankment, with the injured driver trapped and hanging from his seat belt. The Chief called in the alarm to Melville dispatch and noticed flames coming from underneath the dashboard. 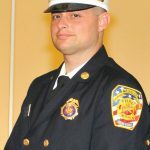 He quickly ran back to his truck and grabbed a fire extinguisher and seatbelt cutter, hit the fire quickly with the extinguisher and cut the seatbelt to free the man. 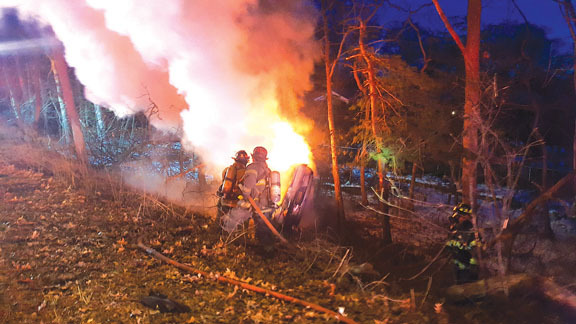 The car was fully involved within moments after the victim was removed through the rear window. 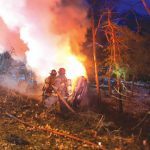 Firefighters quickly extinguished the blaze as rescue crews assisted the driver, who was transported to Nassau University Medical Center with non-life-threatening injuries.